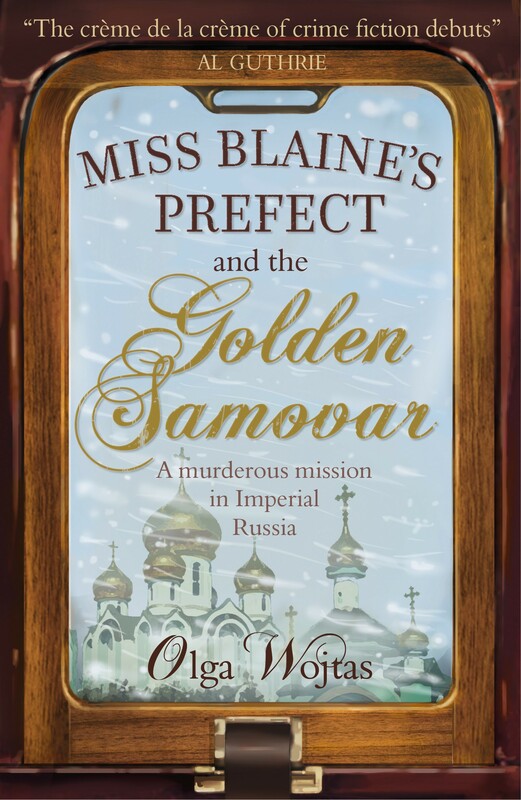 Miss Blaine’s Prefect and the Golden Samovar, the debut novel by Olga Wojtas published on 25 January 2018, is an affectionate homage to Muriel Spark’s most famous book. The star of this idiosyncratic and comic “cosy crime” novel is the ebullient Shona McMonagle, a time-travelling altruist who must solve a mystery in 19th-century Russia. Impeccably educated and an accomplished martial artist, linguist and musician, Shona is thrilled when selected by Marcia Blaine herself to travel back in time for a one-week mission in 19th-century Moscow: to pair up the beautiful, shy, orphaned heiress Lidia Ivanovna with Sasha, a gorgeous young man of unexplained origins. Olga Wojtas said: “I was a young thing at James Gillespie’s High School when the play of Miss Jean Brodie was put on in Edinburgh in 1968, a year before the Maggie Smith film. While Gillespie’s is now incredibly proud of its former pupil, it was quite dubious about the book in the ’60s, with an attitude that was much closer to Shona’s.